Do you dream of starting your own business? Are you tired of giving it your all and not reaping any of the benefits? Have you got what it takes to make it in the competitive world of business? Honesty and integrity, excellent communication skills, motivation, discipline, and self-confidence are just a few of the essentials. If you think you’ve got these in abundance, you’re well on the way to making a success of your new venture, but before you give up your day job here are some tips you might want to read. You’re not alone in dreaming of being your own boss. Thousands of people do, but not all of them follow through on the idea. Why don’t they take action? Because they’ve got too many excuses and are worried about failing. There are a million and one reasons why you shouldn’t take the risk. Not having enough time and a lack of finance are two of the most common reasons but they are just excuses. Yes, being your own boss is bound to be scary, and there are going to be times when you feel tired and exhausted. But if you want to start your own business, address the reasons for not starting and find a solution because there’s bound to be one. The internet is a wonderful tool if you want to learn all there is to know about virtually every subject under the sun. For anyone thinking about starting a business, it’s a fantastic resource. Find out about other peoples experiences and learn from their mistakes. Whether you want to know more about running a dog walking service or hotel ownership, there’s bound to be plenty of information. When you’re doing your research, don’t forget to listen to what others have to say. You’ve got friends and family who are bound to have pearls of wisdom they want to share with you. Don’t be afraid to tell them about your ideas and encourage them to offer honest feedback. Are they fully behind your new venture or do you think they are just being nice? Veteran business owners and experts are also going to have some advice for any new business owner. They’ve experienced first-hand what does and doesn’t work, and you’d be wise to learn from their mistakes. You’re going to be far more successful if your business fixes a problem for your customers. The temptation is to think about what you can sell, but it’s far smarter to think about what problem your product or service will solve. Focus on why you’re opening your own business and what are your motives, and you’ll be able to create a brand and successfully market your company. You should never assume that lots of people will want to buy your product or service just because you happen to like the idea or know a couple of people who might be interested. 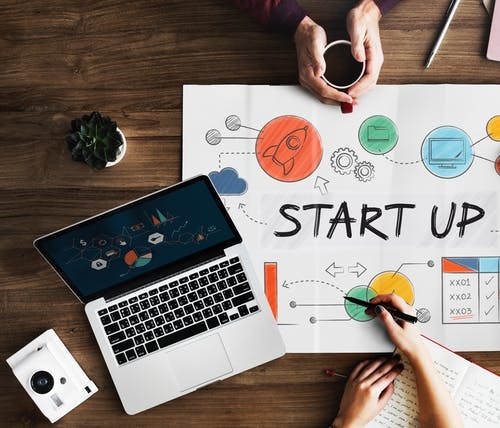 There are several costs involved in starting a business, and it’s essential for them all to be included in your business plan. As soon as you’ve developed your business idea, you’ll be able to add up how much it’s going to cost altogether. Factor in all business expenses such as rent, supplies, and marketing. Now you’ve got a number, multiply it by three, possibly even four. It’s far better to be over prepared than find yourself short of funds. Don’t forget to factor in your personal expenses as well because you’re still going to need to eat, live somewhere and take care of your health. Even the most successful businesses can experience lean times. Many of you might even find yourself close to bankruptcy. With more than half of new businesses failing within the first five years you have to be prepared for such an eventuality. Have a plan just in case the worst happens and figure out what you’re going to do if your business plan fails. People might say to you that it's a little pessimistic, but it’s better to be prepared and it not happen than not be prepared when your dream business crashes. You’re not going to earn a steady income straight away. It takes time, and your business is going to have to go through certain stages. The first ones are tough, so keep your day job until you’ve got a healthy flow of cash coming in. Of course, working two jobs is going to be hard, but it’ll be worth it. Work your way through the stages, and you’ll find the transition from employee to entrepreneur much easier. Customers aren’t going to come to you if you don’t let them know what you’ve got to offer. You might feel a little embarrassed or intimidated, to begin with, but it’s something you really will have to get over. As a new business owner, you’re going to be marketing and networking at every possible opportunity. Being able to communicate effectively and confidently is going to play an essential part in your success. There is a legal side to running your own business, and while it might be boring, you have to understand the rules and regulations. Failing to follow them could land you in a heap of trouble and facing huge fines. Your business has to be registered, and you have to take care of your tax liabilities. If you’re planning to hire workers, there are employment laws you’ll need to follow. The details of these laws vary depending on where your business is located, but you need to find out what these are. Failing that, talk to a professional accountant about setting up your company. Follow these tips, and you’re well on the way to making a success of your business. There’s a lot of hard work still to come, but you’ve given yourself a good foundation.